Today I did some tests with the HiFiBerry Mini and RaspyFi. I replaced the kernel by the HiFiBerry enabled kernel – and it worked perfectly. The music was played from a cheap USB-Stick. But the most interesting part was the test with 192kHz/24bit FLAC files. And yes – it works! I think, this is the smallest Raspberry-based setup that is able to play 192kHz FLAC music. It is also nice to see, that RaspyFi also plays MP3 files in 24bit resolution, which means potentially less distortions. You can order it now on our HiFiBerry web site. 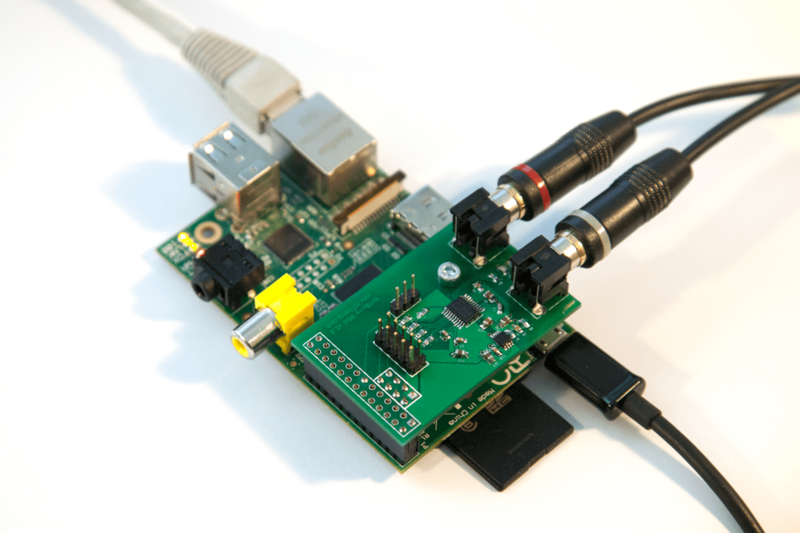 This entry was posted in Finished and tagged dac, digital, flac, hifiberry, i2s, raspberry pi, sound card on October 21, 2013 by Daniel. 2 Nubert A-200 Speakers (connected via S/PDIF electrical). The sound is great up to 96kHz/24bit flacs. Playing a 192kHz/24bit flac cause problems. The Playback Tab in Volumio shows me that the song is running and gives all the other information (… Stereo, 24 bit, 192 kHz, 4275 kbps …) but no sound from the speakers. All parts should be able to handle 192kHz/24bit recordings! I asked this question already in the Volumio forum but no answer. When it works with the HiFiBerry Mini does it also do with the Digi? still got the same issue 192khz 24bit FLAC won|t work ) too fast and Christmas 2014.